I think it’s safe to say that everyone reading this has at one time or another taken a glimpse into Charles Schulz’s creation Peanuts. Whether through the comic strips or the TV specials, many are familiar with the charming, memorable characters that have been created for this world. I know I’m one of the millions of families that made the Charlie Brown Christmas Special a holiday tradition. 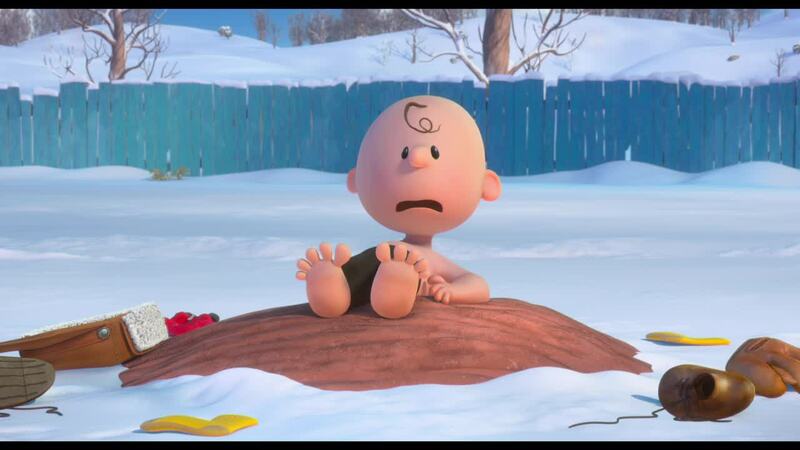 The Peanuts Movie tries to take this decades old cartoon and bring it back for a new audience. 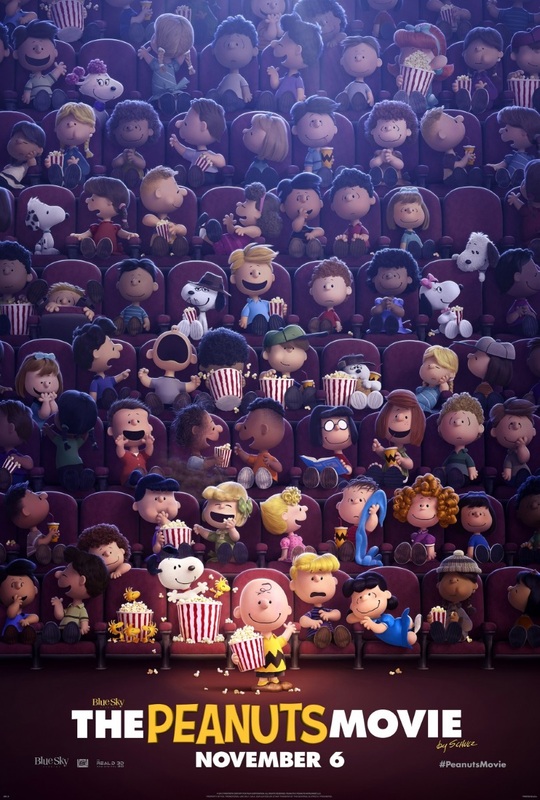 Though it’s generally unambitious and occasionally messy, The Peanuts Movie manages to capture the spirit of the original material and it left me feeling truly happy when I left the theater. Charlie Brown (Noah Schanpp) falls in love with a mysterious, red headed girl who moves into his neighborhood. Over the course of mid-winter to early summer, Charlie Brown tries to impress her through a series of events that take place at their school. 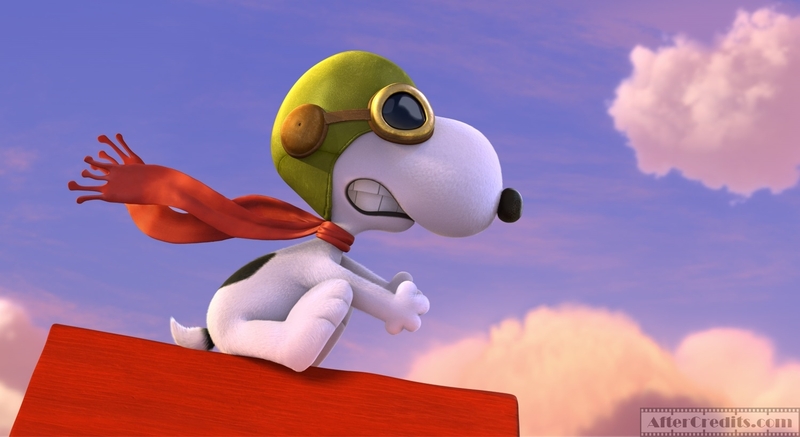 During this time, his dog Snoopy is also writing a story about being a fighter pilot who tries to take down the Red Baron. What I liked about this movie was how relatively faithful it kept everything. Most reboots or sequels try to up the ante by either making the characters look different or giving the audience this overcomplicated story for the sake of having one because it’s a big movie. Hey, you know what Garfield was missing from the original comic? Live action, CGI animation and a half cooked crime plot obviously. The humor usually tries to be edgy and raunchy to be “hip” with the children and the parents in an artificial way that undermines the magic audiences expected because of what the show had been to them in the past. The Peanuts Movie doesn’t take that route at all instead opting for a much more down to earth, lifelike story. It doesn’t go for something generic and phoned in like Snoopy going missing or the school getting destroyed to build a mall, it’s just Charlie Brown dealing with the awkwardness and the confusion of childhood. This small scale story will satisfy fans of Peanuts because it’s reminiscent of the smaller stories Peanuts used to tell and it also gives you more time to just hang out with all of the characters you know and love. It says something about how brilliantly crafted everyone is in Peanuts that you can have such a simple story and it can still feel really entertaining to watch. Everyone from Linus to Marcie are given a strong amount of screen time and no character is left out. From the cynical, calculating Lucy to the quiet but quirky Woodstock, they’re all here doing the things they are fondly remembered for. This movie understands what people liked about the series and it tries to expand on those things instead of adding unnecessary new additions that only exist to cater to a larger audience. There are some problems that I still had with this movie. While I appreciate that all of the characters are doing the things they’re known for in the best way, the movie doesn’t really go outside of the box with any specific character. It also doesn’t have a problem hitting you over the head with admittedly well intentioned references to the animated specials. The movie certainly gets credit for trying to maintain the heart of Peanuts but I think this respect keeps it afraid to go anywhere new with these characters. The movie is already 75% of the way there and it would’ve been complete if it tried to tackle different ideas or emotions. It can keep the leisurely pace and small story just with more of the contemplation and atmosphere that the original series had. Near the start of the movie, Charlie Brown has a speech about what it feels like to be in love and this part is surprisingly meaningful but there’s nothing else in the movie that reaches that level of intelligence. I think the movie also gets some points off for being a little bit preachy near the end when it shoves its message in your face without any subtlety involved. The movie isn’t inventive or even particularly memorable, but the movie is still an absolute joy to watch just for the opportunity to see all of these beloved characters back to life. 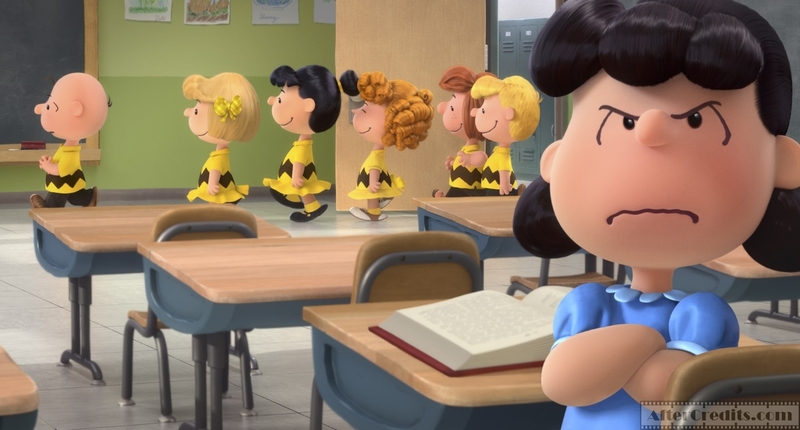 The Peanuts Movie is 90 minutes of pure, unfiltered charm. Most children show reboots are artificial, “edgy” cash ins that don’t understand what made what they’re adapting so lovable. With this in consideration, this movie is an absolute breathe of fresh air. There’s not much left to be said for this movie, it’s short, sweet and enjoyable for all ages.